Teach your children about our aquatic friends with this fun and educational book. 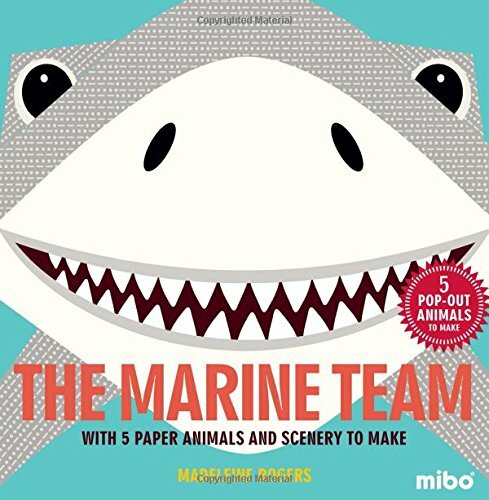 Five sea creatures - a shark, turtle, seahorse, seal and whale - are explored through rhyme, pictures and pull-out cards to construct into 3D figures. With two spreads dedicated to each creature, adults will be able to read the short playful rhyme on each spread to children and look at the bright illustrations to teach them about their habits and environment. Children will then be able to pop out the card animals from the perforated pages contained in a pocket at the back of the book and create 3D figures simply by folding and adding a few dabs of glue. The inside of the dust jacket is printed in full colour with a graphical representation of the creatures' environment. Children have the option of using this as a backdrop to create a marine scene, and there are also accessories to make and add to the scene.